Casket bearers were Eric Stein, Michael Stein, Mark Harms, Bruce Harms, Ronald Kroells and David Kroells. Interment was in the church cemetery. Gary Lee Bruesehoff was born Nov. 30, 1946, in Glencoe, the son of Lester and Myrtle (Kroells) Bruesehoff. He was baptized as an infant on Dec. 22, 1946, and was confirmed in his faith as a youth on April 10, 1960, both at Zion Lutheran Church in Benton Township, Cologne. His baptism sponsors were Arnold Gruenhagen, Malinda Harms Stoeckmann and Wilmer Kroells. He received his education at Central High School in Norwood Young America, graduating with the class of 1964. Mr. Bruesehoff made his home on the family farm in rural Norwood Young America, farming with his brother and dad. In 2001, he moved to Bethesda Lutheran Communities in Victoria. He worked at AFP (American Flexible Products), Fastenal and McDonald’s through Choice, Inc., in Eden Prairie, mostly doing janitorial work. He was very proud to volunteer for Feed My Starving Children. In 2016, when he needed assistance with his daily care, he moved to Golden Valley Rehab & Care Center. 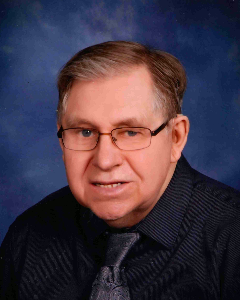 He was a lifetime member of Zion Lutheran Church in Benton Township, Cologne. Mr. Bruesehoff enjoyed watching sports, especially the Twins, Vikings and the Young America baseball team, where you would see him with his large bowl of popcorn to share. He also enjoyed ice fishing, John Deere tractors, helping on the farm and raising his pigs. He loved his dogs — Rover, Lassie, Goober, Mickey and Patches. He cherished the time spent with his family and friends. He is survived by his brothers, John Bruesehoff of Norwood Young America and James (Melissa) Bruesehoff of Warren, Michigan; sister, Gail (Rodney) Stein of Brooklyn Park; nephews, Eric Stein, Michael (Amanda) Stein, Chad Bruesehoff and David Bruesehoff; niece, Amy Stein; great-nephew, Landon Stein; stepbrothers, Allan (Christine) Haas and Paul (LeeAnn) Haas; stepsisters, Susan Murphy, Sandra Hormann and Lois (Tim) Scharnhorst; other relatives and friends. He was preceded in death by his parents, Lester and Myrtle Bruesehoff; stepmother, Pearl (Haas) Bruesehoff; grandparents; and uncles and aunts.